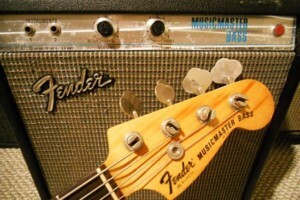 Fender’s Musicmaster was first introduced in 1971, and in production through 1981. 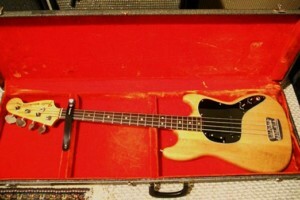 As with Fender’s guitar bearing the same name, the bass was a simpler version of Fender’s Mustang Bass. 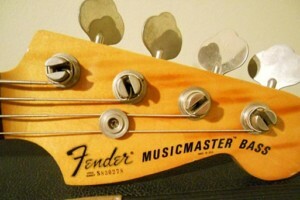 The Musicmaster was Fender’s budget-priced bass at the time, made from surplus parts from other Fender models. The bodies were from the Mustang production line, and 6-pole guitar pickups were used instead of the standard 4-pole pickups used in basses. All of the electronics were mounted on a single piece of plastic. 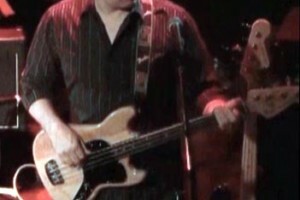 This was also a 30″ short-scale bass, the shortest production scale of any Fender bass. The bass was introduced with three finishes: black, white and red, with a few early issues painted in daphne blue and sporting pearl pickguards. 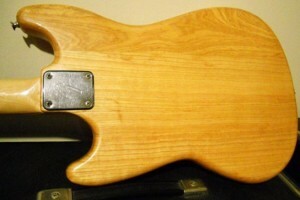 Fender later offered many of the finishes offered on their other instruments as well. Fender’s line of budget instruments was discontinued in 1981, when the company introduced the Squier brand. 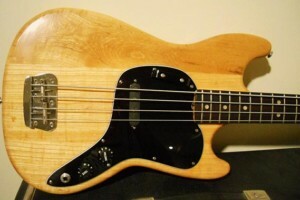 Squier reintroduced the Musicmaster briefly in 1997, replacing it a year later with the Bronco bass. Guitar technician and custom instrument builder Graham Drew shares his 1978 Fender Musicmaster Bass in this installment of Old School, and the story that goes with it. How long have you owned the Musicmaster? It was given to me by a friend who ran a studio in Orlando, Florida. The bass came to me as a box of parts which had to be reassembled. All stock, with the exception of the pickguard and electronics. I obtained a new pickguard from a seller on eBay, the pickup is a custom handmade replacement made by Wizard Pickups in the UK, and the all-new electronics are two CTS 250k pots, a Switchcraft jack, vintage style cloth wire and a Sprague orange drop capacitor. The replacement pickup by Wizard Pickups is made specifically for these basses, and it makes this bass sound absolutely amazing. The previous owner who dismantled it wasn’t able to figure out how to put it all back together again!! Any notable bassists (other than yourself, of course) play the same instrument/use the same gear? Colin Moulding of XTC, Jim O’Rourke and Kim Gordon of Sonic Youth, Dee Dee Ramone of The Ramones, Alan Lancaster of Status Quo. 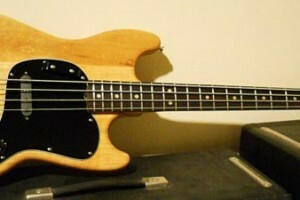 The Musicmaster was originally introduced as a student model, but it is a very capable bass. 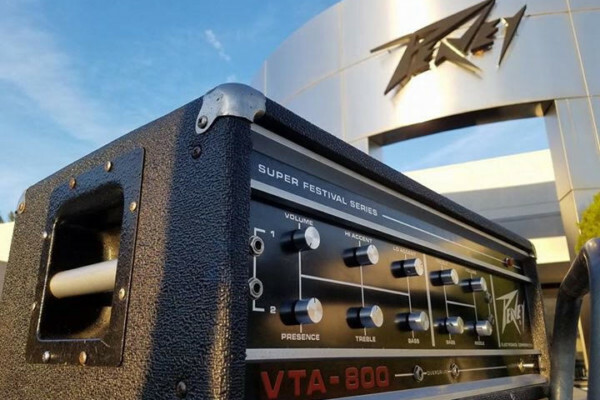 The only downside was that Fender installed a six-pole Stratocaster pickup, which won’t give the correct string-to-string balance as a four-pole bass pickup. Yes, I use it every gig for at least a third of the set. I own a wide range of basses, but there’s something about my Musicmaster Bass that keeps me coming back for more. It can be a bit cranky at times and somewhat unforgiving, but the effort is always worth it. 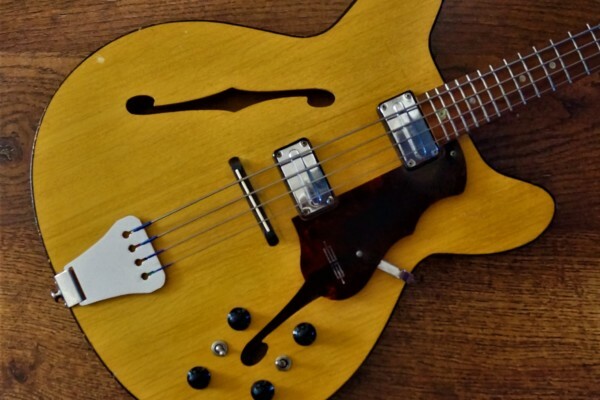 I’m a gear nut and I love cool and unusual basses, particularly lesser-known and lesser-used Fender and Fender-style models. 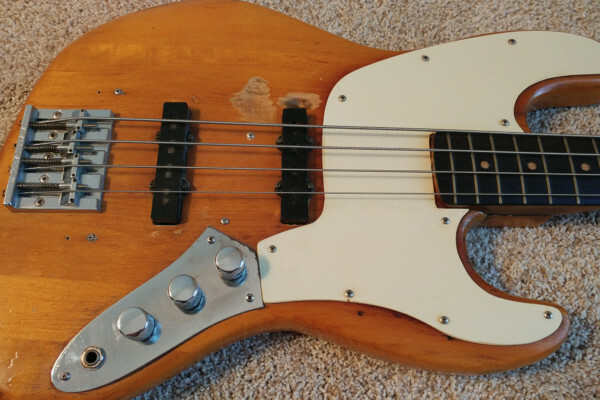 I’ll have the greatest fun finding some cool old cheap Japanese made bass from the 1970’s, stripping it down, rebuilding it and making it playable again. By day I own and run a busy guitar repair shop in Northern Virginia (www.jadeguitars.org), where I am a luthier and certified guitar technician. I also build custom electric basses and guitars under the brand name Drew & Sebastian Custom Guitars (www.drewandsebastian.com). I play bass in a band called drumfish, which is based in Northern Virginia (www.drumfishmusic.com). I am originally from London, England. 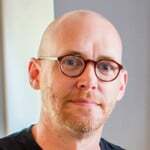 I have lived in the US since 1999, and also play guitar. I have a ’75 Musicmaster, she was my first bass and I love her dearly! Well, there’s old, and then there’s Old School. Old School is a-okay. Brought back memories. This was my second bass and my first “decent” instrument. Mine was white and I think it cost around $150 new back in ’79. This was when Precisions were $300 and Rics $425. I have a black 1978 Musicmaster I bought used when I was 13. :) 26 years later I finally had her all set up w/ a fret dressing and Thomastik flat wounds. My next plan is to do just what Graham did: get a replacement (4-pole) pickup (by Wizard or Aero, or I believe there’s also a company in HI that makes custom Musicmaster pickups?). Cool story! I’ve got an all original circa. 1971 Musicmaster Bass in Daphne Blue. Interestingly, the pearloid face on the pickguard faces inward, out of sight. The outer face is solid white. It’s a very sweet playing bass that has rarely even been plugged into any type of amplification. I’ve got to have Graham do the same kind of refurbishment to my ’78 white Musicmaster. I got mine in 1984 for $90 and it was my very first electronic instrument and love it. I’m not in agreement with your dates at the top of the article. I published on Vintage Fender Bass on Facebook yesterday a photo of myself on Christmas day 1970 (8th grade… yes I’m an old fart) with my brand new red Fender Musicmaster bass and matching amplifier. According to the Fender site and a doc. there my S/N 269xxx was built 1969/1970. Still very beautiful as is my 1973 Fender Precision… original owner of both guitars. That one was posted on the Facebook site too. I played the pure T-hell out of my Musicmaster and occasionally plug it into 600W to hear how clean it still sounds! I would say I’m “OLD SCHOOL” BUT I use a Spector NS20005 in the studio and on stage all the time at this point. 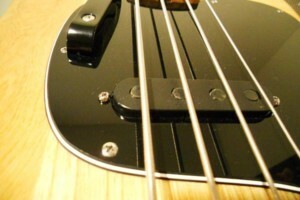 BTW – flatwounds on the P-bass for an awesome Classic Fender sound! I would like to say that we (the band) have received from our publisher in Nashville 4 DEMO they would like us to record… obviously country music. Reba is the singer on one of them. I intend to carry my 1973 FENDER Precision into our studio locally to see how it sounds…. never have recorded with it. I’m using Thomastik Jazz flatwound strings on it. It sounds so very classic. Perhaps I’ll bring back a more vintage/classic sound to some Nashville Country Music. Many bassists are using the hot rods like I am currently…. EMG pups, 5 string, active EQ etc. Hmm… we researched this and that’s what we found. Sounds like we need to do a little more research. https://www.facebook.com/photo.php?fbid=2275070685117&set=a.2275070085102.133879.1499210103&type=3&theater…and would be happy to tell you about them. wow i love old bass, i’ve got an 1978 Ibanez silver series jazz bass and it’s rock!!! @Troy Hughes in NY…. Yes, outrageous. My 1973 Fender Precision was purchased new by the drummer in my band. He wanted to try and emulate his dad I think, but less than a month later he asked $200 for it… 1974 still have it! Got this bass 6 months ago, first saw it in Boston and loved it as soon as I played it! Too bad someone had already reserved it. :( Found one down the road 2 months later! How lucky is that! Got it defretted and it just has an awesome, natural tone that only comes with 40 year old basses! Kaye Payne (Australia): I had three Fender Music Masters, now down to one. sold the others untouched, with their 6 pole pickups. I kept the oldest one (roughly ’72 model), modified the pickup to a Seymour Duncan hot jazz pickup, gave it a new paint job and played it for 20 years. have now retired it (kep it at home) and I am playing an Ibenez and a Samick, they are light, I have sore shoulders and back from playing and lifting gear for far too long. Have to admit I really like to new basses for playing the style I play now, the fender was great for rock, but I am more melow these days. I have Musicmaster serial number 837111 please somebody to tell me a year becouse I don’t now. I bought a red one used in ’78 and I repainted it metallic blue and put in some SD precicion style pickups. After our loft burned I found it amid the wreckage charred and wet. I thought it would just be a souvenir but a closer look showed that it was mostly the finish that was charred. I stripped it all and sanded it…had to fix a crack or two but really not too bad! I repainted it again, this time flat black in tribute to the fire. Later my good friend got a job at Steinberger Guitars and he put a plastic fretboard on it. I don’t play it these days but I should take some pictures o it….totally unique! I have a 1978 Musicmaster that I bought second hand some years ago. It seems to have been customised quite a bit and also has the name Linda inscribed in white on it. I notice that Wikepedia is not very impressed with the Musicmaster! I would love to know who originally had mine. I have either a ’78 or ’79 Musicmaster Bass. Mine is black, all original. I still play it occasionally. I’ve owned it about 30 years. Found it in a pawn shop! I restored a 78 MM replaced all the electronics, Aero pickup which was pricey but sounds amazing and a Seymour Duncan Blacktop active tone circuit,(2 band)……..sounds like an old school “P” bass……use it on all my gigs : ) Short and proud !